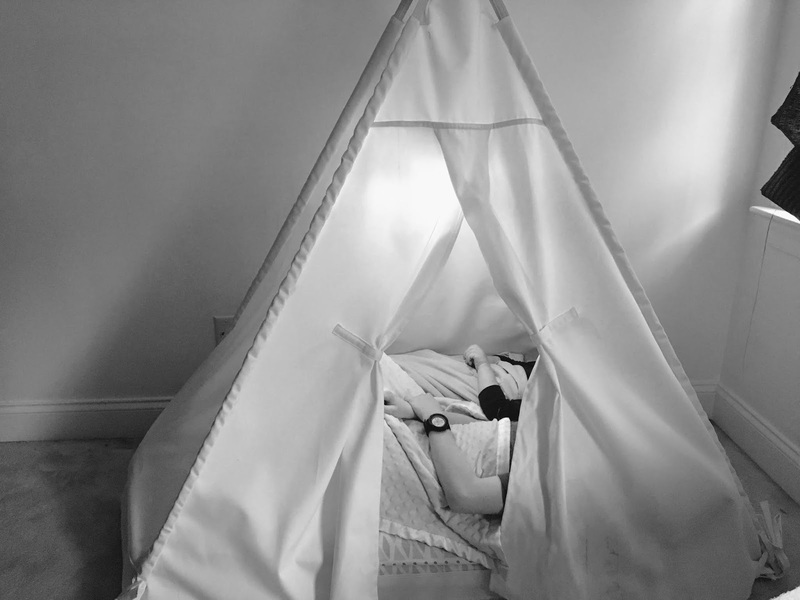 What little boy wouldn’t love his own teepee bed!? 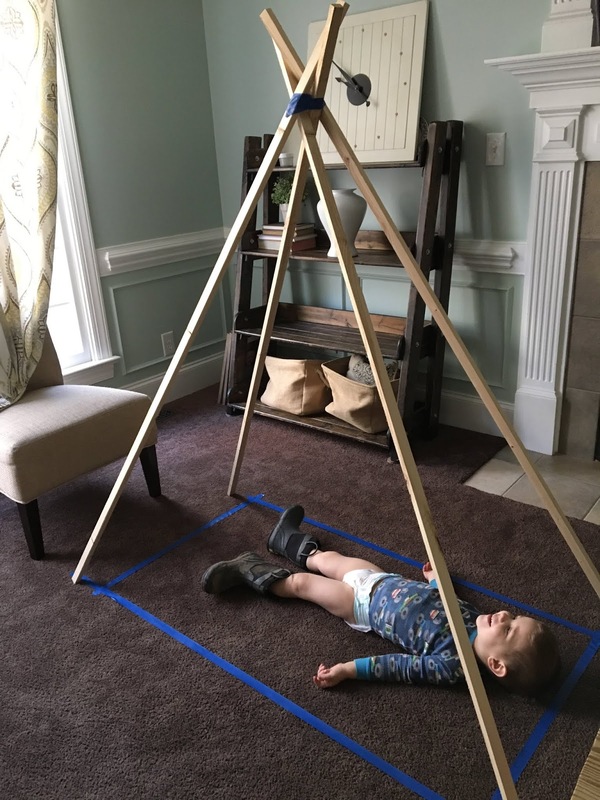 The idea came after I was trying to come up with a way that would make taking naps for my 2-year-old fun. Bedtime is so much better now, especially after telling him a story about him and his brothers camping in their teepee’s. Other things I love about this bed: when he rolls out of bed it doesn’t wake him up, his blankets and stuffed animals stay inside, the sun isn’t as bright and helps him go to sleep/stay asleep longer, not as distracted by what’s going on around him (*a’hem* his 3 older brothers) and last but not least – his bed looks so cool and fun! My stick casings are a little different with loops up at the top. The sticks are 1×1″ wood pieces but you can use anything long enough. 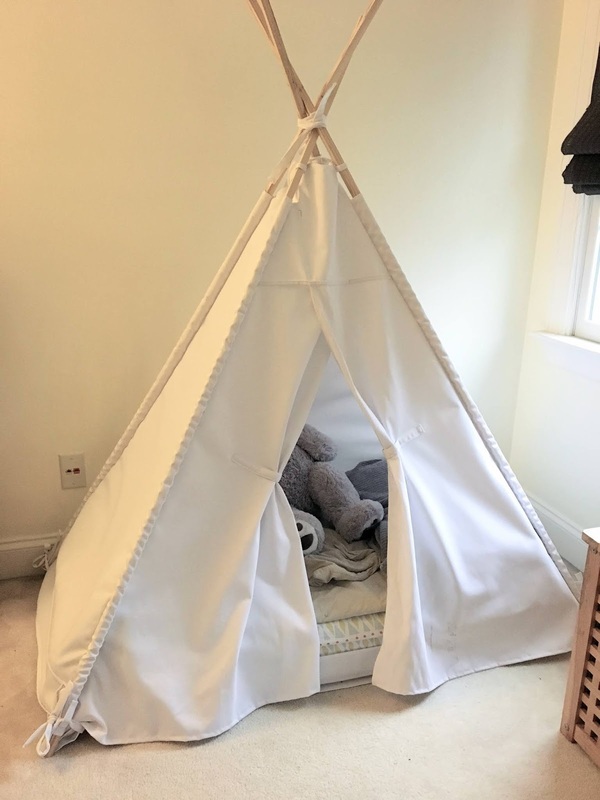 The front has Velcro straps for opening the teepee or closing – super easy for a 2-year-old to manage. The front has a strip of fabric going across the mattress to hold it in place. 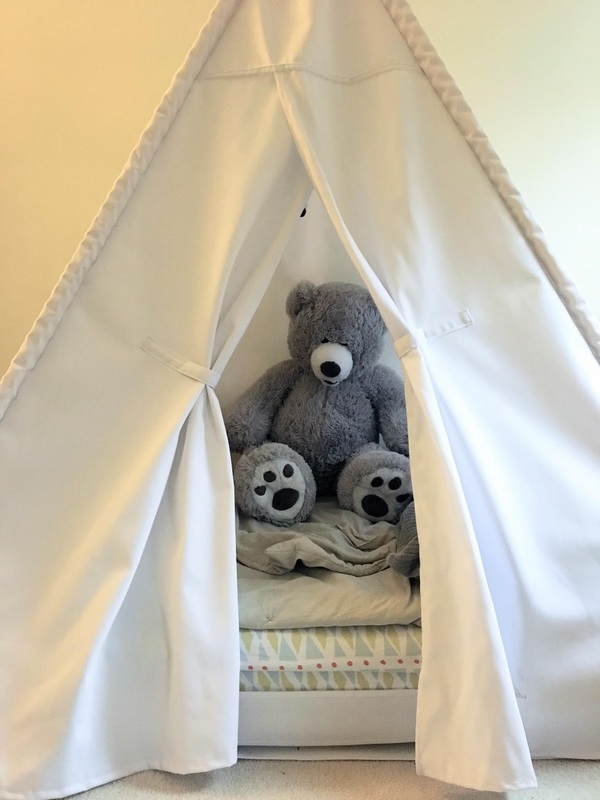 The corners of the teepee are tied down onto a mat of fabric underneath the mattress to keep everything in place. 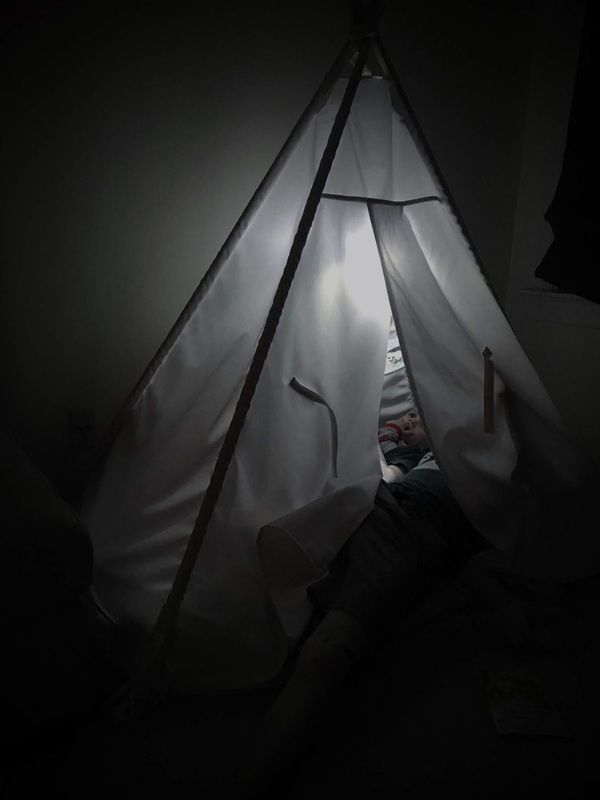 We tied a little camping lantern from the sticks to hang inside for the first few nights – he loved it! Ack! Yes, it looks confusing! 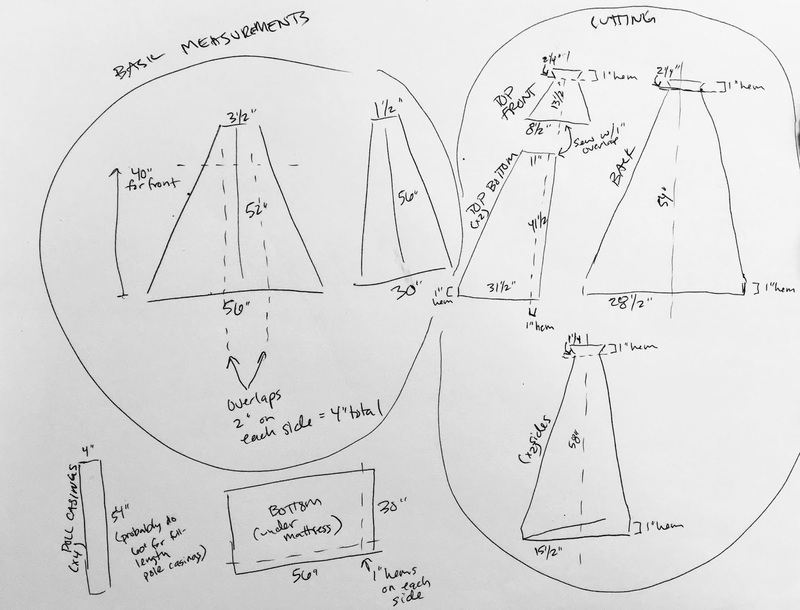 Notice the left bubble is BASIC MEASUREMENTS which I’ll explain how I got just below. 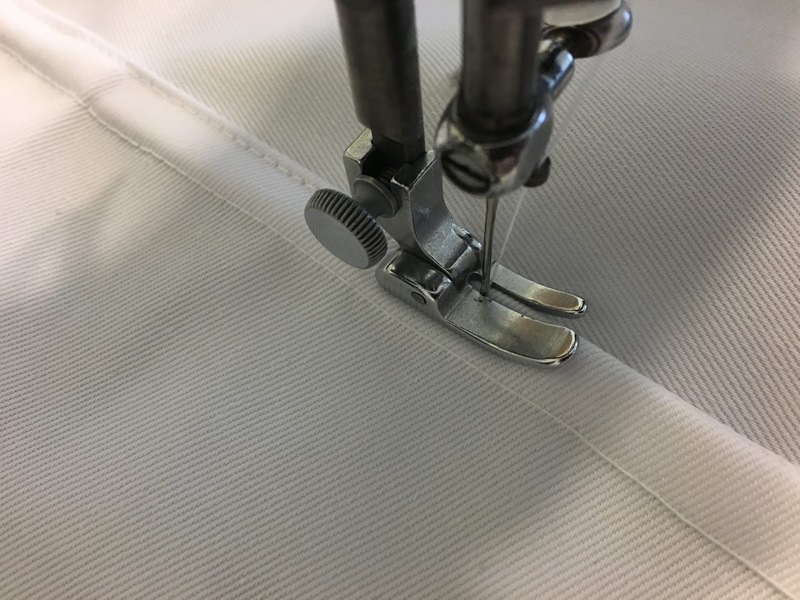 The right bubble is the CUTTING measurements with hem and seam allowances added. At the bottom you’ll see measurements for the ‘poll casings’ and ‘bottom’ (for under the mattress). For the front panel opening I figured I’d want a 4″ overlap. You can see on my draw up how much I added for the hems and such. 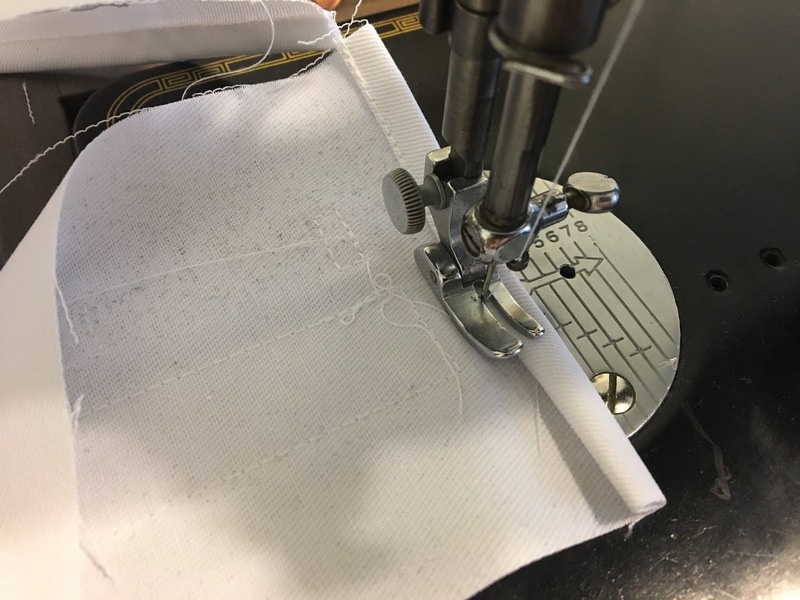 For the sticks/poles, make sure you make your casings wide enough so they will slide in easy enough but not have too much sag that the fabric is able to slip down. 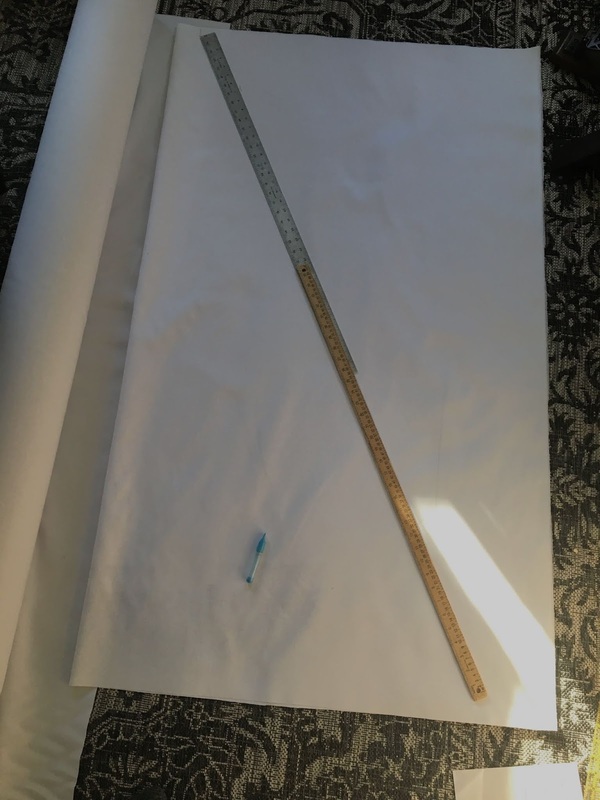 To make cutting easier I folded my fabric in-half and used 2 yardsticks to mark my line for cutting. I used a medium-weight twill I had on hand. 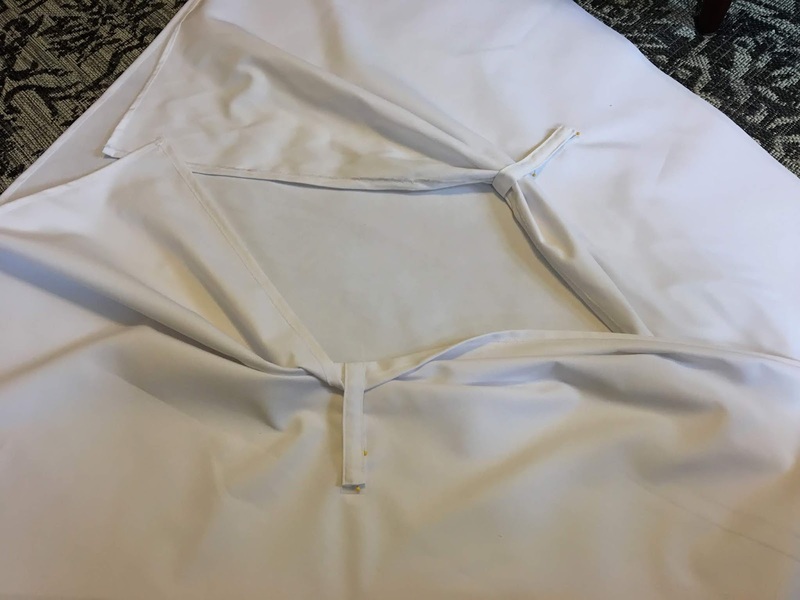 Hem the straight edges of your front opening sections and the top and bottoms or your front/back pieces. 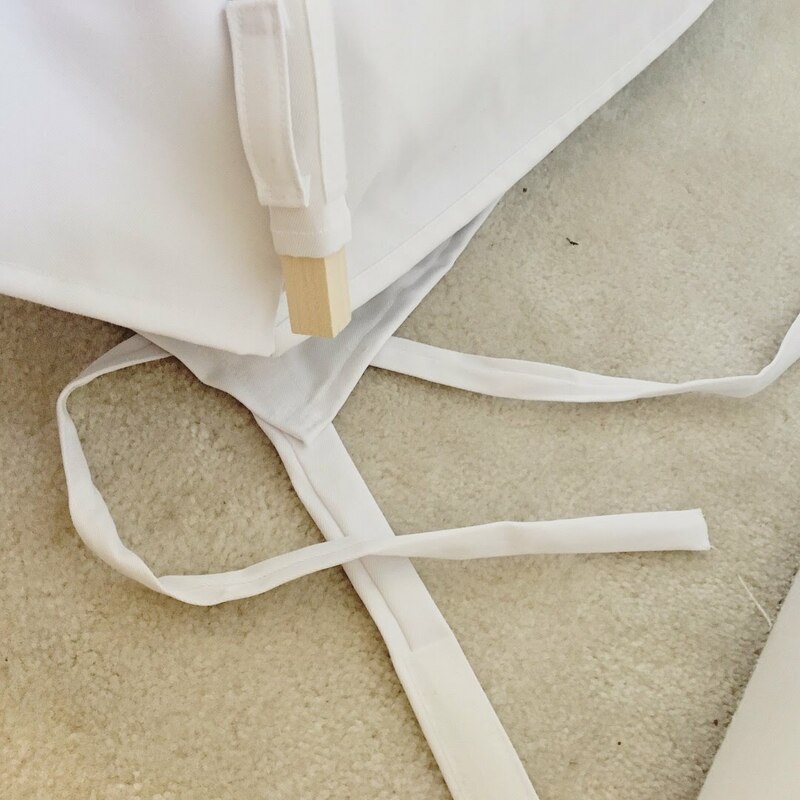 Lay your front panel pieces over your back to arrange everything so they’ll be finished the same size. You can see my front opening is overlapped about 4 inches. 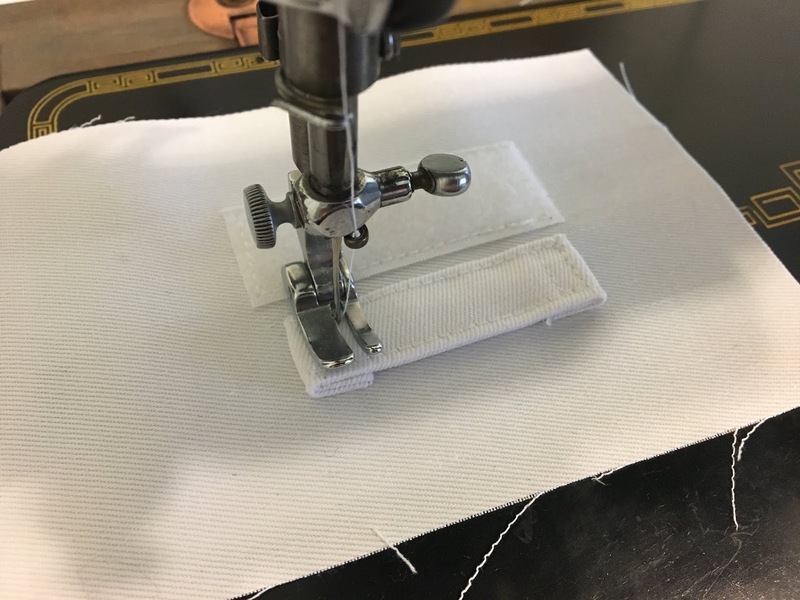 Don’t forget about the 4″ wide strip that goes across the front of the mattress – baste in place a few inches from the bottom edge of the front opening pieces (you’ll want the strip to be on the inside of the front opening pieces). 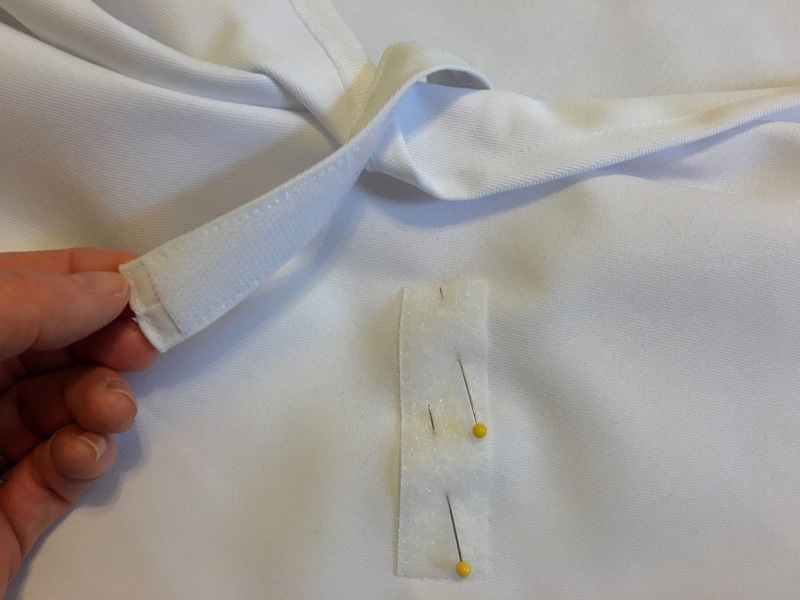 Sew the top of the front piece to the bottoms. 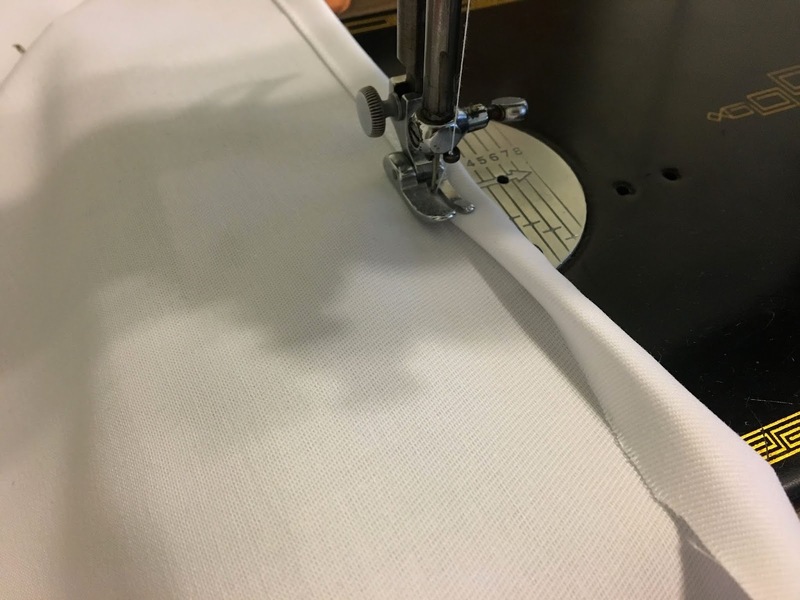 I had enough fabric to do a french seam. 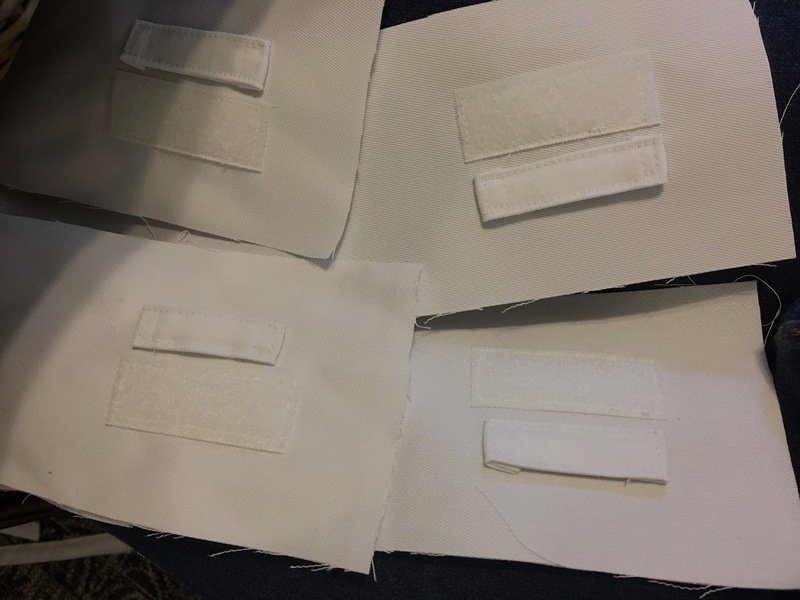 …sewing around the Velcro also sews the strap in place. 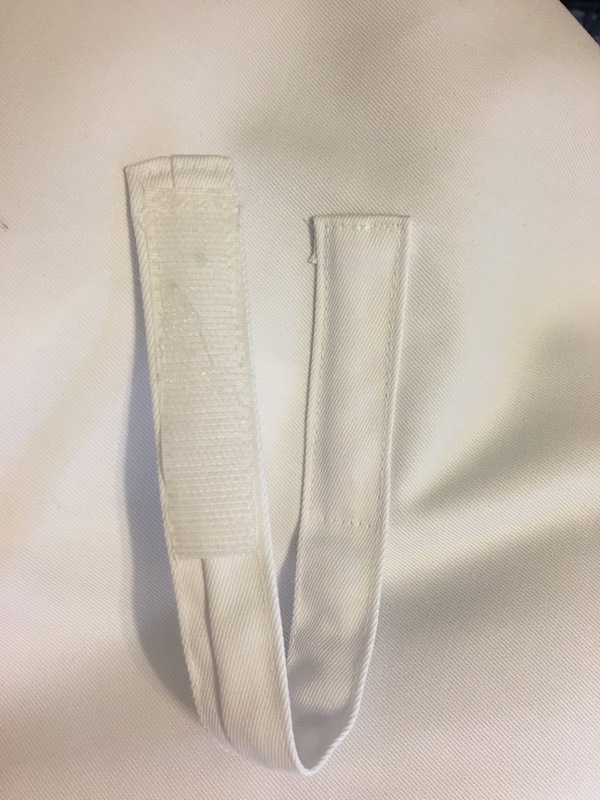 For the poll casings I sewed a piece of Velcro and a loop close to the bottom. 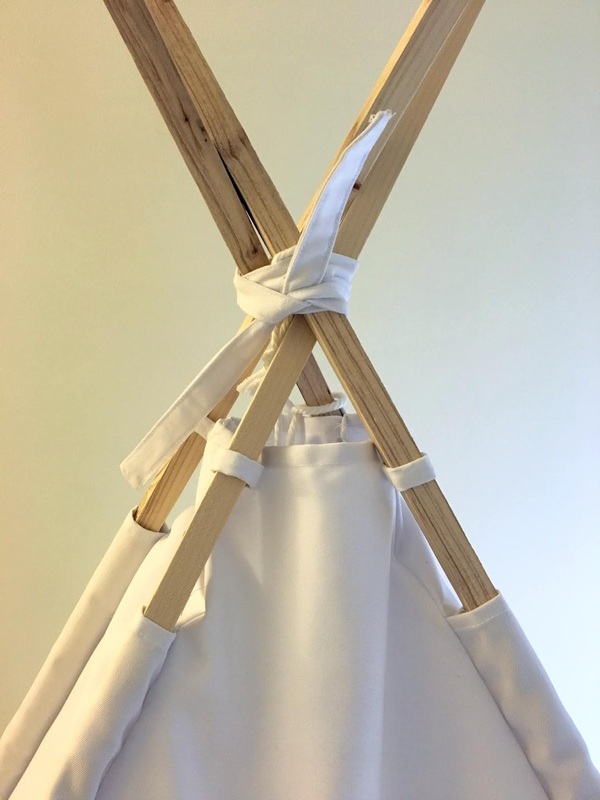 These are both for attaching the mattress matt onto the polls – there may be an easier solution – this is just what I did. You’ll want 2 to be the same and the other 2 to be opposite. 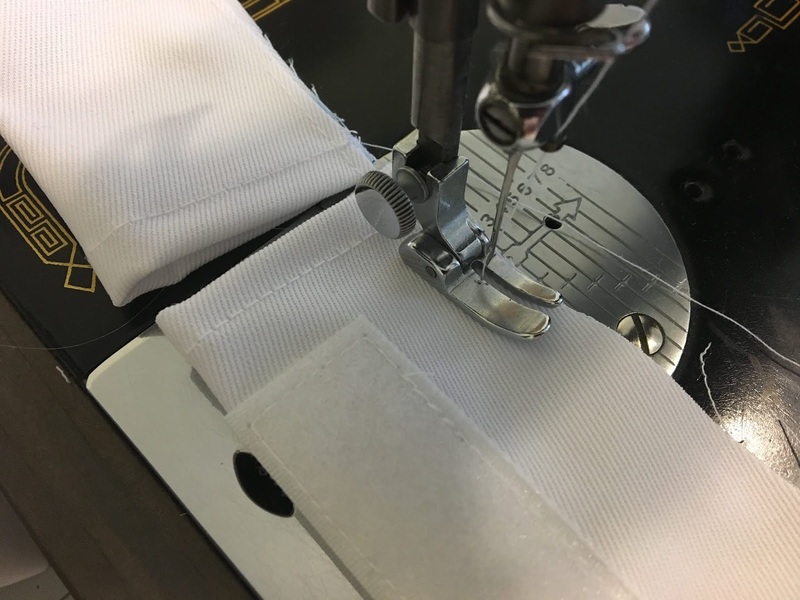 Sew a 1/4″ hem on the bottoms & tops. Baste down the whole length of the casings (right side out). 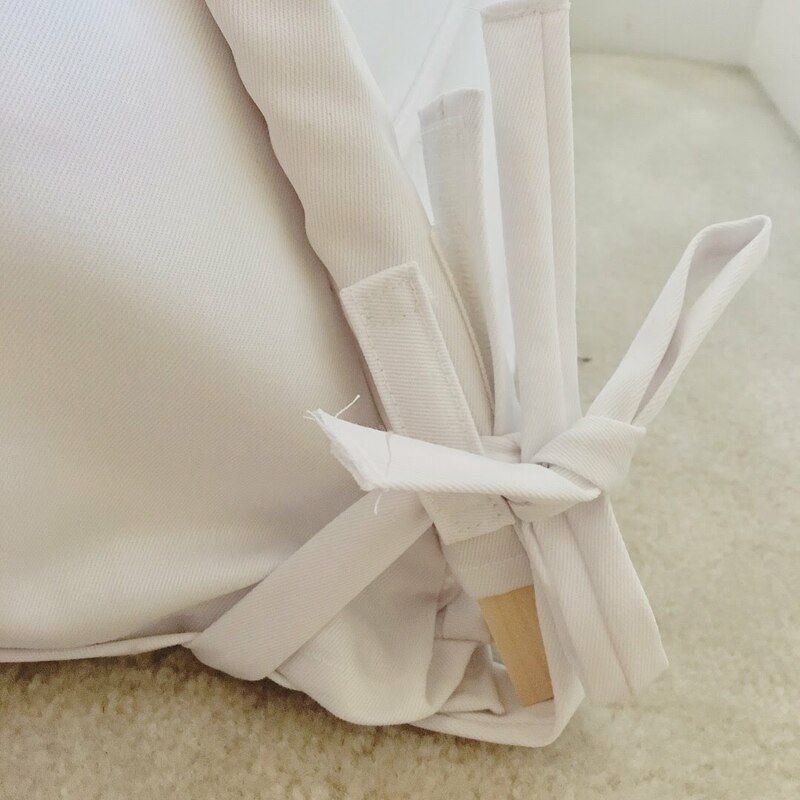 Sew the casings between each of your top/back and side panels to complete the teepee – use a 1/2″ seam and double stitch for durability. 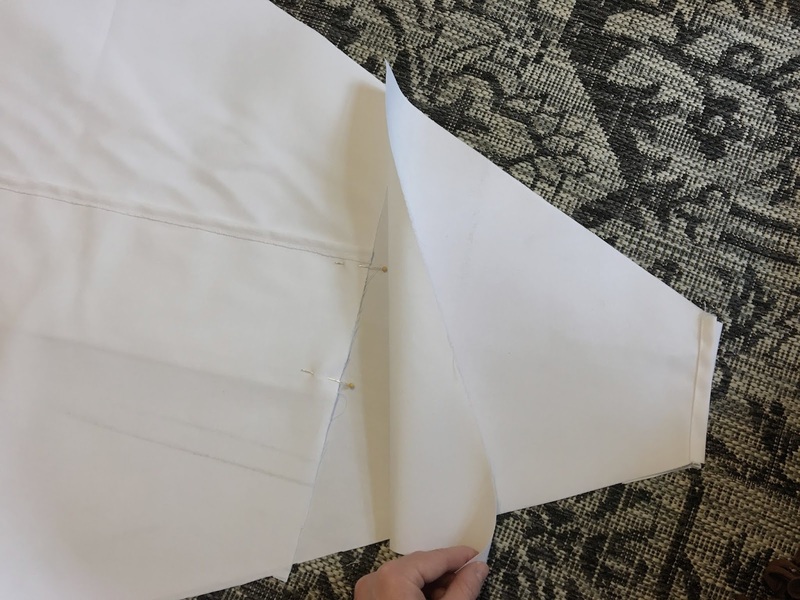 For the bottom matt: 1) hem all 4 edges 2) make a strap with Velcro on the end (similar to strap for opening closure on the front of teepee but make sure you use the opposite Velcro piece as you did for the bottom of your poll casings) as it will attach there – sew into place on the bottom of your mattress mat where it will reach onto the poll casings properly 3) sew a long-skinny tie across each corner of the mattress mat – this will thread through the loop on your poll casings. Once complete it will look something like this.